Does Everyone Know Your Theological Hobby Horse? Recently a friend at church (I’ll call him Jeremiah) asked my views, and the views of our church, regarding God’s sovereignty and salvation. Specifically, he wanted to know how strongly Reformed theology influences my preaching. Because I thought our exchange might help others, I asked and received permission to post an edited version of our correspondence. 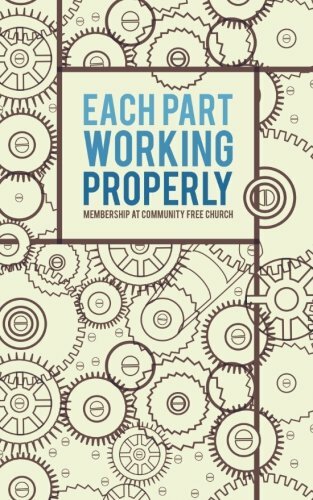 I am interested in becoming more involved at church, and I was looking over the membership book. In that regard, I wonder if you could answer a few questions for me. In reviewing your church’s membership book, Each Part Working Properly, there was a section devoted to the beliefs of the Evangelical Free Church of America (EFCA), which I am in agreement with. Actually, my only questions revolve around the portion of your book regarding Reformed theology. It is my understanding that, within the framework of the EFCA, churches have the freedom to express their faith differently as long as they are in line with the main EFCA Statement of Faith. I suppose an example is the one that you provided in the book about the church that baptized infants. As you say, this would certainly not be the habit of most EFCA churches, but it is not beyond the limits of the Statement of Faith, and thus it is acceptable. So my questions are . . .
How would you handle preaching through certain sections of the Bible, say, one from the book of Romans? Would you explain different views of the passage or only the Reformed view? This is what was done in one E-Free church I attended. Are Sunday School groups and other groups taught from a Reformed perspective? I guess this last question is more like a summary of the others. Is the “official” view of our church regarding teaching, preaching, etc. a Reformed view? I think finding a church home is a lot like finding someone to date and subsequently marry. You have to get to know the person/church as you move forward in the relationship. Hope you can help me out in that process. Great questions. You’re doing exactly what I would hope people would do: investigating a local church in a thoughtful way. In fact, this is why we wrote that book. We want people to be able to consider the theology of a church before committing. As for Reformed theology, lots could be said. I’ll try just to mention a few things. Feel free to follow up by email . . . or maybe, if you’re buying, we’ll make another trip to Starbucks. Normally, when people ask me about Reformed theology, I don’t like to answer until we first have gained a shared understanding of what Reformed theology is (and is not). Often, I find people are not talking about, shall we say, apples and apples. For our sake, I’ll just assume we are talking about the same thing. First, your understanding of the Evangelical Free Church of America is correct; as a denomination, the issue of Reformed theology is not decided. Rather, the decision is left up to local churches. But even here (in local churches), sometimes the leadership might not be in agreement. If you ask me, I think this is a strength of the EFCA. It gives Christians a chance to have not mere uniformity but true unity. When we published the book Each Part Working Properly, it was the first time in our church’s history that we formally declared the position of our pastor-elders on this issue. We did this so that potential members could understand where we stand today and where we likely will be in the foreseeable future. In this way, the book is like a weather forecast, though hopefully more reliable! I’m not sure what percentage of EFCA churches consider themselves Reformed on areas of salvation. A recent study of the theology of the senior pastors in our denomination reported that, on issues of salvation, 38% favor a “Calvinist/Reformed” view, while 35% favor an “Arminian/Wesleyan” view (and 28% did not specify a leaning). It’s interesting that regarding a person losing their salvation, the results were far more one-sided: 94% affirm that someone regenerated by the Holy Spirit cannot lose his or her salvation. My view of things certainly falls in this majority. It’s worth pointing out, though, that even if a senior pastor is Reformed (or Arminian), there will certainly be many people in his church (maybe even some on the church staff and elder board), who see things differently. That’s not the case on our church fulltime staff and elder board, but it wouldn’t be uncommon in other EFCA churches. With respect to preaching, I think a good preacher can (and should!) be able to do a whole lot of preaching without people knowing exactly what he thinks about these issues. Don’t hear me wrong. I’m not saying preaching should be deceptive (cf. 2 Corinthians 4:2). I am saying the Bible doesn’t exist to exalt Reformed theology (or Arminian theology) but rather the gospel of God. In light of that, I also think that over time, what a preacher believes about these issues must inevitably seep into his sermons. Most of the time this will be subtle, but other times it will necessarily be overt. This is a good thing. These issues matter. In my opinion, much of the pleasure a Christian gets in God flows from his or her view of how salvation takes place. It doesn’t seem that King Saul “lost his salvation” but rather that he was never converted. Now, you’ll be aware that a statement like this is informed by my view of God’s sovereignty in salvation, specifically the Reformed understanding of the perseverance of the saints. I’m not sure if many, or even most, in our church would notice this connection. I’m sure that some would, but whether or not they noticed, my aim would be to explain the passage in such a way that this conclusion is actually shown to be in the text of 1 Samuel—not merely an abstraction from my broader theology. I’m probably not the best one to evaluate my preaching (I’m too biased! ), but my sentiments here reflect what I’m aiming for. I know you’ve been attending for a while. How do you think we’re doing on this issue? I would respect and greatly value your opinion. In Sunday school, however, there is more opportunity, even a responsibility, to share differing opinions about secondary issues (e.g. creation, end-times, spiritual gifts). In fact, in our adult Sunday school last fall, I taught on the atonement while we were working through Wayne Grudem’s book, Systematic Theology. When I taught, I was sure to present the differing views, both Limited and Unlimited Atonement. In the end, however, I did share which view I hold and why I hold it. We’d be very open to someone with Arminian theology teaching in Sunday school or a small group, though we would expect a similar approach from him: fairness to both views. With respect to membership, we never bring this issue up with people in the membership interviews . . . unless of course they want us to! At Community Free Church, we are delighted to have any and all Christians join who have a credible profession of faith, who are excited about this particular church, and who agree with the EFCA Statement of Faith. Is this helpful? What other questions do you have?